When it comes to Chihuahuas, the "apple head" variety deserves a spot of honor. Why is that? 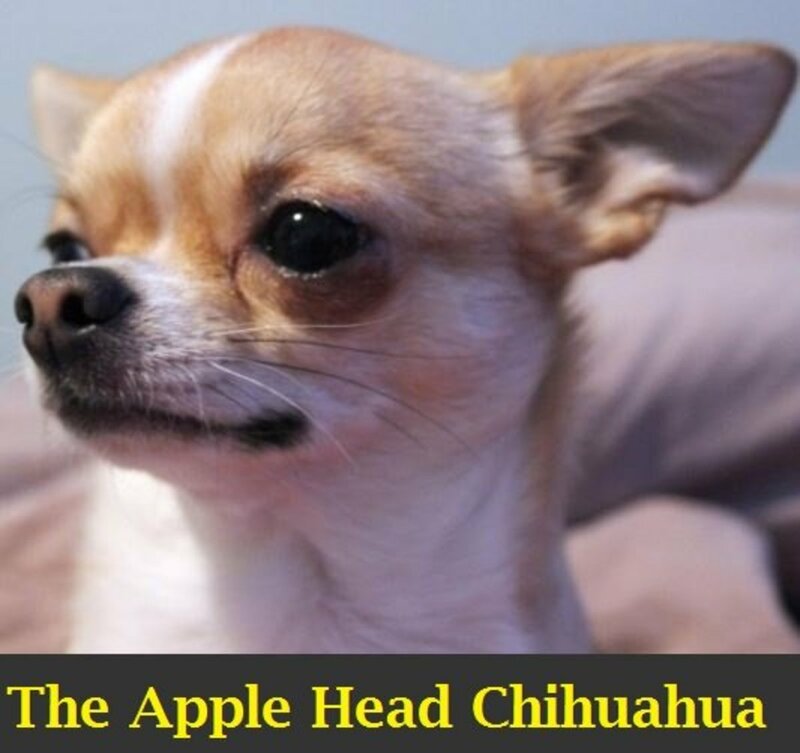 An apple head Chihuahua is the breed's specimen par excellence. In other words, it conforms to breed standard and, therefore, reflects what one should expect to see when the word "Chihuahua" comes to mind. 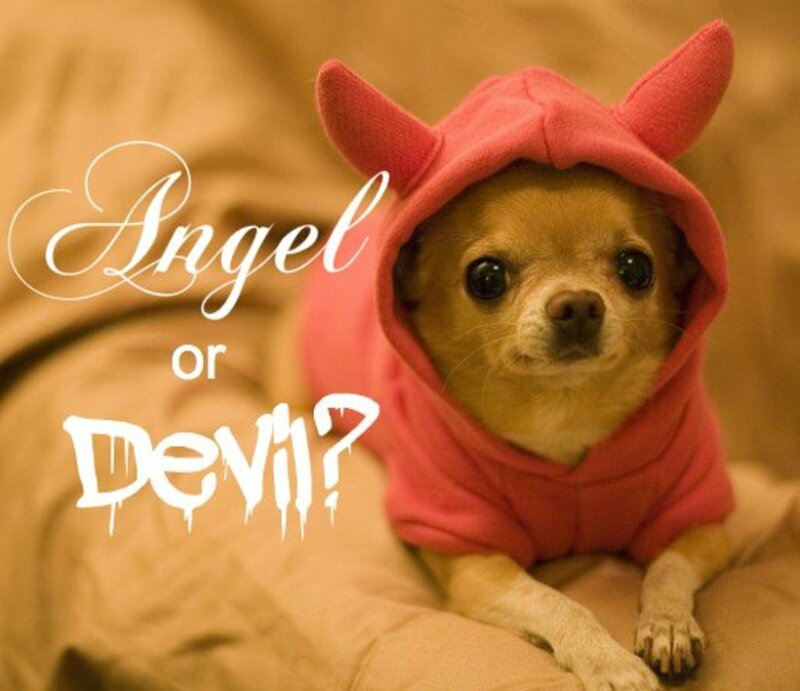 In other words, it is the poster child for the Chihuahua dog breed. The apple head feature is a distinguishing physical characteristic that is expected of the breed standard. According to the American Kennel Club standard for the breed, the Chihuahua is expected to have "a well rounded, 'apple dome' skull, with or without a molera." 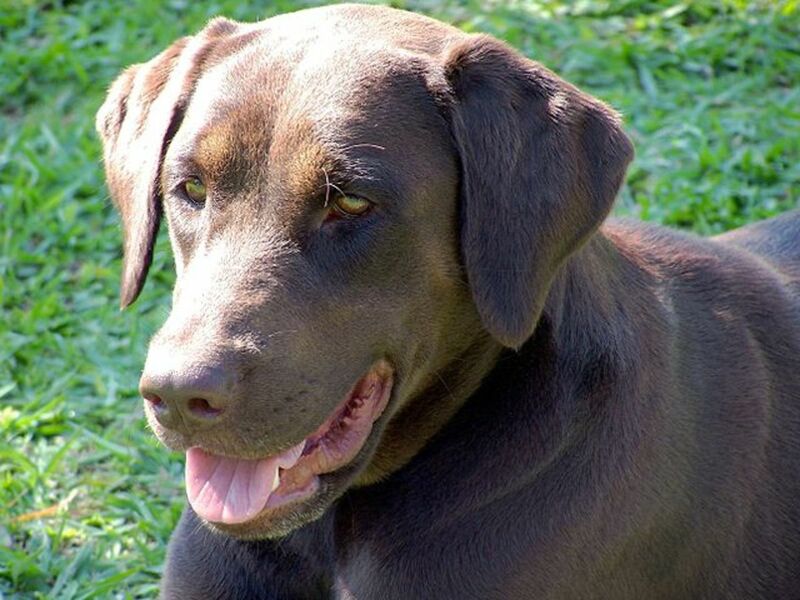 A molera is a term that depicts a sunken area on the top of the dog's head, which appears at birth. In a sort of way, the molera is similar to the "fontanelle," or soft spot, that is often present on a human baby's head. 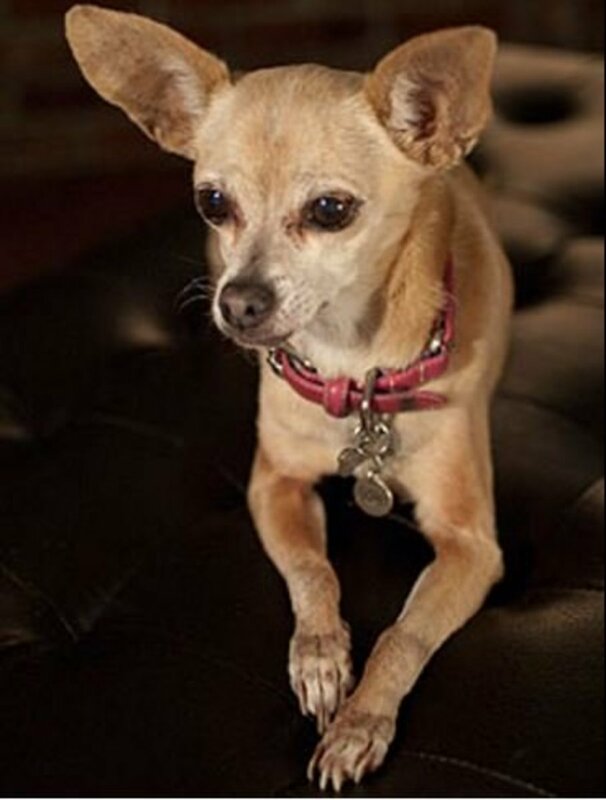 This sunken area makes the Chihuahua's head assume a shape that has been compared to the top of a cooking apple. In addition to this, the dog's head is also compared to the fruit because the dome of the skull is much broader than the jaw. 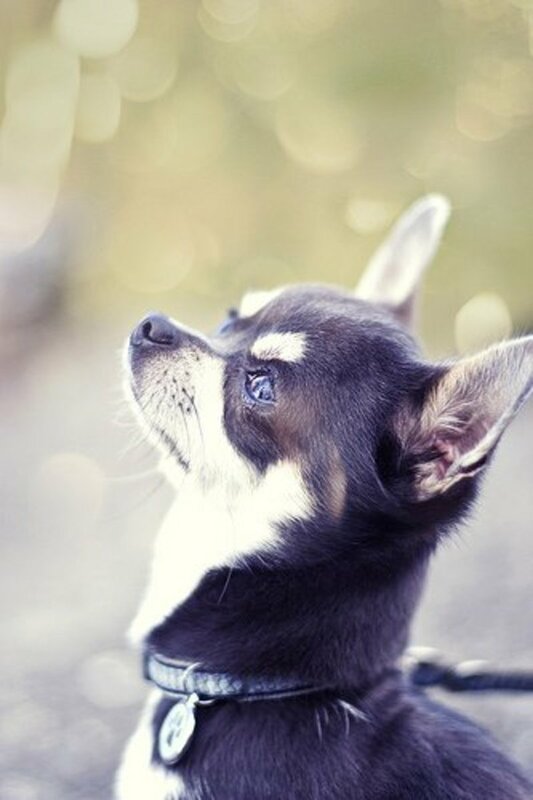 The Chihuahua Club of America describes the the breed's head as having a distinctive "stop" at an almost 90 degree angle when looking at its profile. 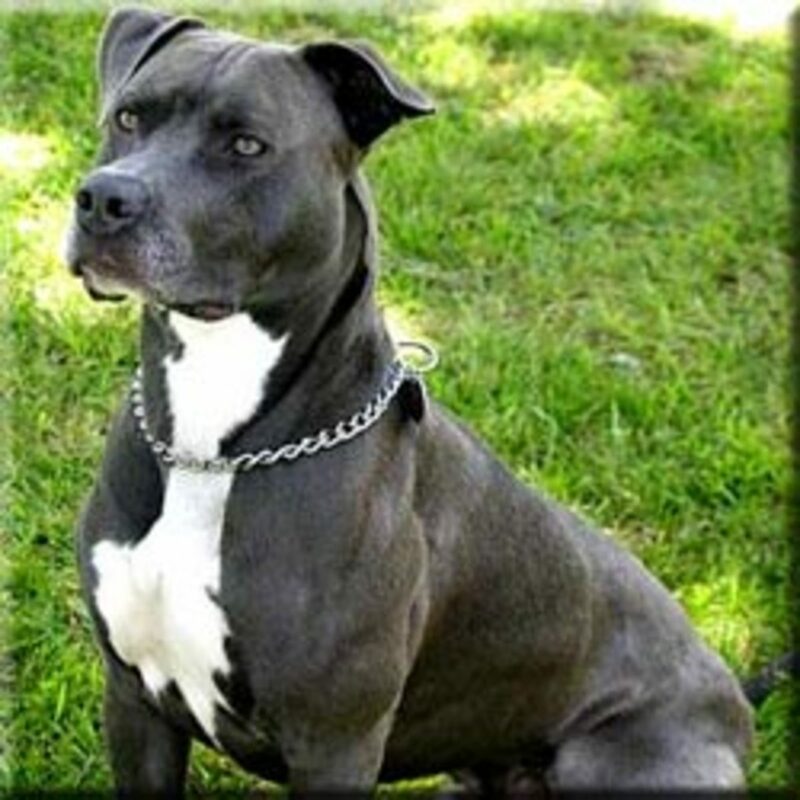 The stop is a term that is used to depict the angle that goes from the forehead to the muzzle, a feature that is more pronounced in certain breeds. 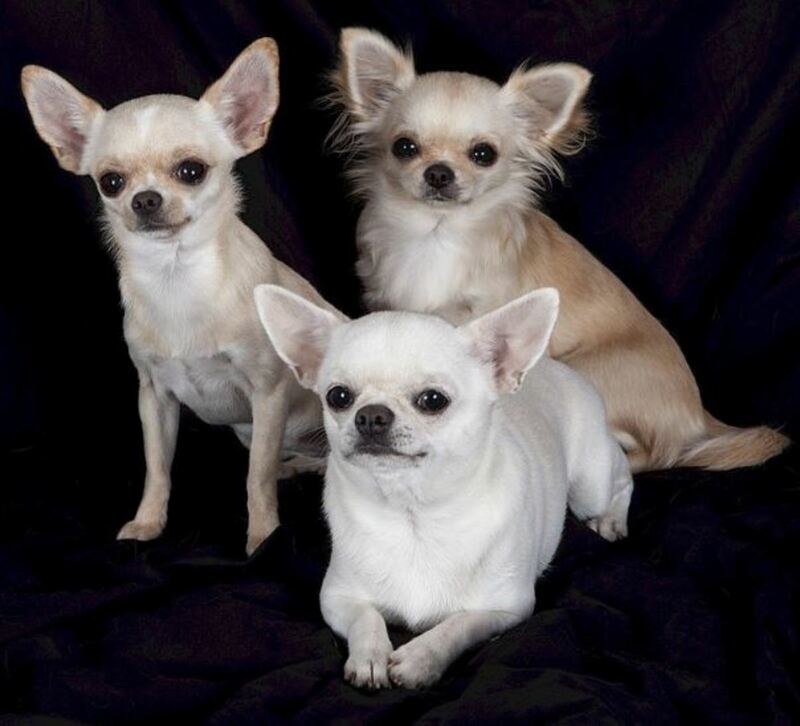 The American Kennel Club accepts two coat varieties in its Chihuahua breed standard: the smooth coat and the long coat. If you are interested in opening your heart and home to an apple head, you may be wondering how much it costs? Reputable and ethical breeders will not jack up the price tags on these dogs because they know for a fact that apple heads are simply Chihuahuas that are bred to standard. However, unethical breeders tend to inflate their prices by trying to make buyers believe that they are selling a variety that is rare. Again, Apple heads are not difficult to find; they are simply bred to standard. So what's the average price for this particular dog? Generally, prices range between $300 and $800. But prices may be significantly higher (more than $1,500) for a dog with championship lineage. If you find a breeder that sells at a premium price without providing a reasonable explanation and documentation of lineage, consider it a big red flag. This means you may be dealing with an unethical breeder. If an apple head is a Chihuahua with a head that conforms to standard, then what are other specimens of Chihuahuas with other head shapes called? I'd like to introduce to you the deer head Chihuahua. Because they commonly boast a fawn coat, they look similar to a little deer, hence the name. Unlike the apple head with its moderately short muzzle, the deer head has a longer nose and narrower muzzle. And rather than a 90 degree angle at the stop, the deer head has more of a slope when you view its head from the side. This slope gives the deer head a "foxy" expression that many people find appealing. Other differences may be seen in general size and appearance. An apple head may have shorter legs, while the deer head may have longer legs, and thus, a taller body. The weight is also different, with the deer head generally weighing more. While the deer head may not adhere to the breed standard, its less developed, dome-shaped head comes with many perks. 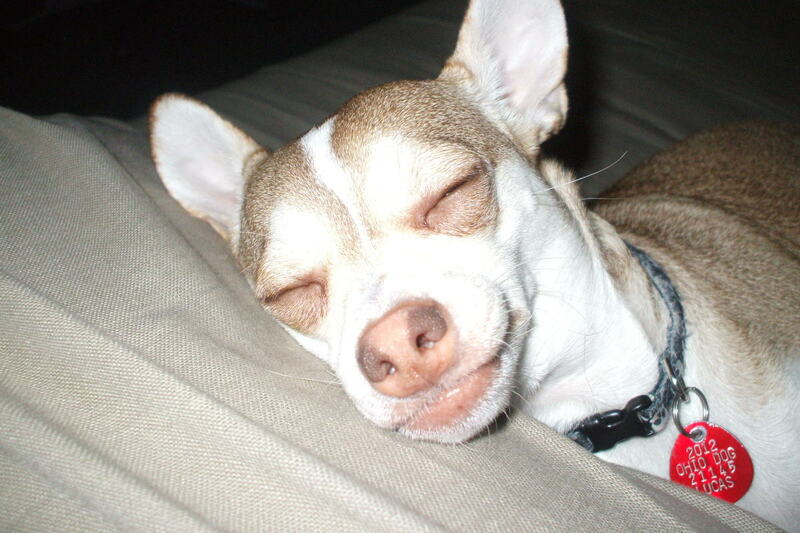 For instance, deer head Chihuahuas are less likely to suffer from dental problems or breathing problems. On top of that, they endure easier deliveries, as the apple head Chihuahua's big skull is more difficult to pass through the birth canal and often a C-section is required. Deer head Chihuahuas with their longer muzzles, larger ears, and wider set eyes were very common from the 1950s to the 1960s. Unfortunately, they quickly fell out of fashion once the Chihuahua Club of America developed a list of traits that were considered appealing in the breed. These traits included a rounded head, smaller ears, and larger eyes. However, just because a deer head does not conform to breed standard doesn't make this dog any less of a Chihuahua. They be not win in the show ring, but they are just as lovable. In fact, many Chi lovers find the deer head to be more appealing. Consider that Gidget, the famous Taco Bell mascot ,was a lovely deer head Chihuahua! So regardless of head shape, Chihuahuas have the potential for making wonderful companions and a deer head can be just as valuable. How long do Applehead Chihuahuas live? How much does a full grown Apple Head Chihuahua and a Deer Head Chihuahua need to weigh? In general, Chihuahuas are expected to not weight over 6 pounds. 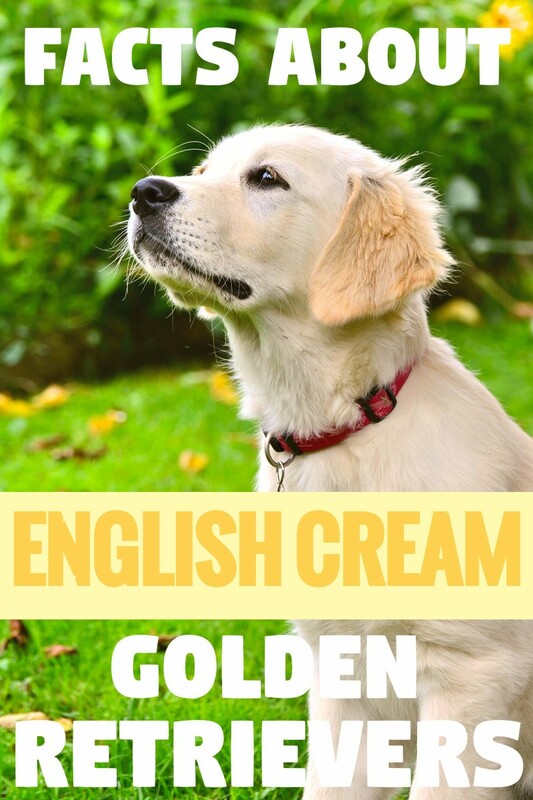 This information comes from the American Kennel Club standard for the breed. How can I tell what type of Chihuahua I have? Try to look at the head from the side. Does your Chihuahua show a 90-degree angle at the stop or more of a slope? If there is a 90-degree angle, you likely have an apple head. If there is a slope, you likely have a deer head. I have an apple head Chihuahua she's 19 mos and she think she's a human. My question is what type of food to feed her I have been through so many and they pet place where she get vaccination at says she allergic to corn but the only food she'll eat is wet food mostly but Rachel Ray. Second question is do she supposed to kinda skin I see some Chihuahua they are bigger then her. Help me understand my dog even though she act like she's human. I just lost my little guy, Chico, in December, after 15 years and a 3 year long battle with Cushing's disease. I never imagined how much I could love my little man and now life without him is unbearable, and I haven't stopped crying since. Life will never be the same, and I will never be the same. If you want nonstop love from a dog adopt a chihuahua. Early training is a must. Both of mine were potty trained within a week & they know many "requests!" They are GREAT companions & you will wonder how you ever lived without a chi! If you are going to get a chihuahua, A apple head is the best of the best. 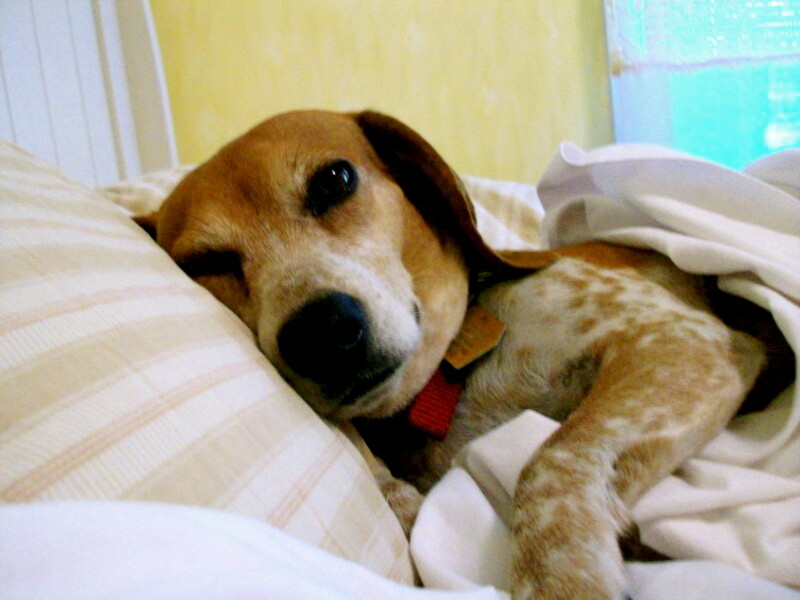 Loyal, out going,easy to train,best bed partner,(better than a wife). They love to go for rides,and shop. If raised with cats their just fine. They tend to like people food better though. So this little guys for you. God I prefer the deer headed chihuahuas.I think thier just so adorable! I have a morkie and a apple head. I know Chihuahuas are a bit feisty but she is super chill and wants to be picked up all the time. She will even stretch her arms out for me to hand her to my mom. She also lick alot! She would put her paw on my face and hands to hold it down and lick it. The kind of sad part is she won't eat unless someone feeds it to her first. So my other dog eats both foods if she doesnt eat fast enough. Something crazy is my Chihuahua wraps her arms around my morkies neck and chokes him! I have no idea where she learned that. Sheri, it's hard to say why your apple head Chihuahuas don't like you watching them eat. They may be a bit possessive of their food or feel intimidated or they're just plain submissive. Both of my apple heads as little ones don't like me watching them eat. Why is that. I've had large to giant dogs all my life. For the first time I now have a little tiny 3lb apple head chihuahua. It's an amazing change and I'll never have a large dog again. I'm totally sold on these tiny sweethearts. I have a black & tan apple head weighing 5 lb. Loves blankets & burrowing. 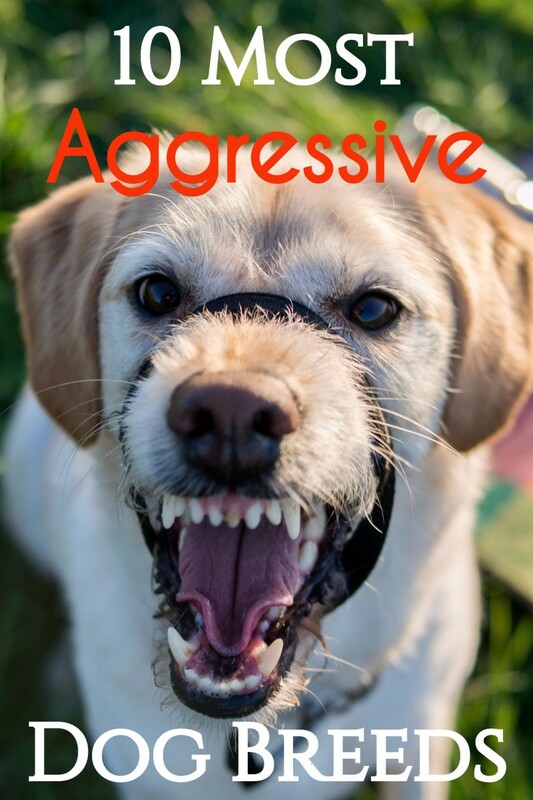 Adversely shes extremely high strung & bites quickly when aggravated. Has allergies & frequent ear infections. Bonded to one person only. Hard to take care of her because of that. Would get another though because she's so small & beautiful ! Considering I've had large breed dogs for 25 years, a Chihuahua of any kind seems like a welcome change. :) So cute! I didn't realize there was a difference.